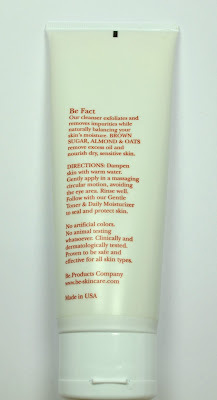 I first learned about this scrub from Ingrid also known as missglamorazzi on Youtube. I like this face cleanser so much I am already on my second bottle. 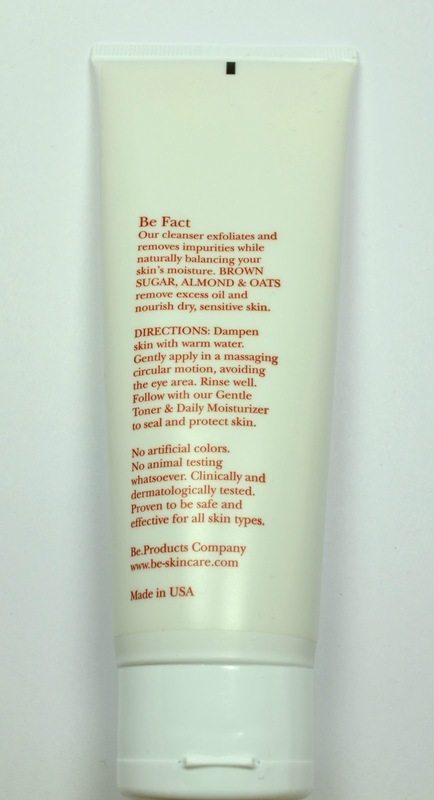 Consistency: This is an exfoliator that I use on my face. Most of the granules are brown sugar, so as you gently massage it onto your face, the scrub melts into a lather. It's gentle enough to use daily. If you don't want as much of the exfoliation, you can rub it between your fingers for a few seconds so some of the crystals melt down before applying it to your face. 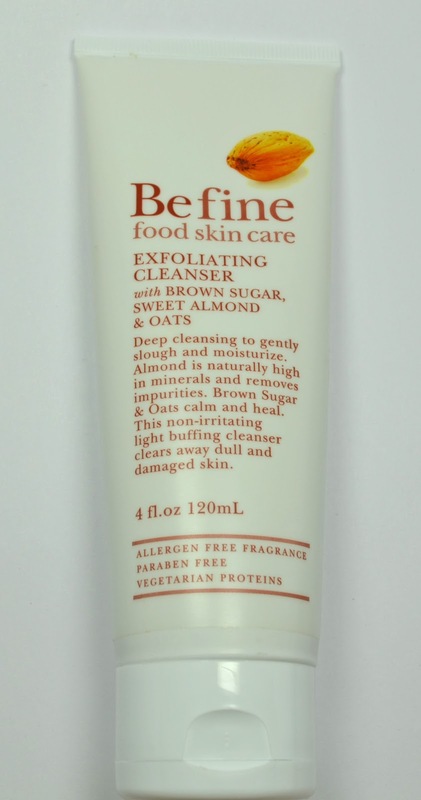 Effectiveness: The granules are large enough to exfoliate a little bit, but I find that in the winter, when I have drier skin with patchy areas, this isn't the greatest scrub. 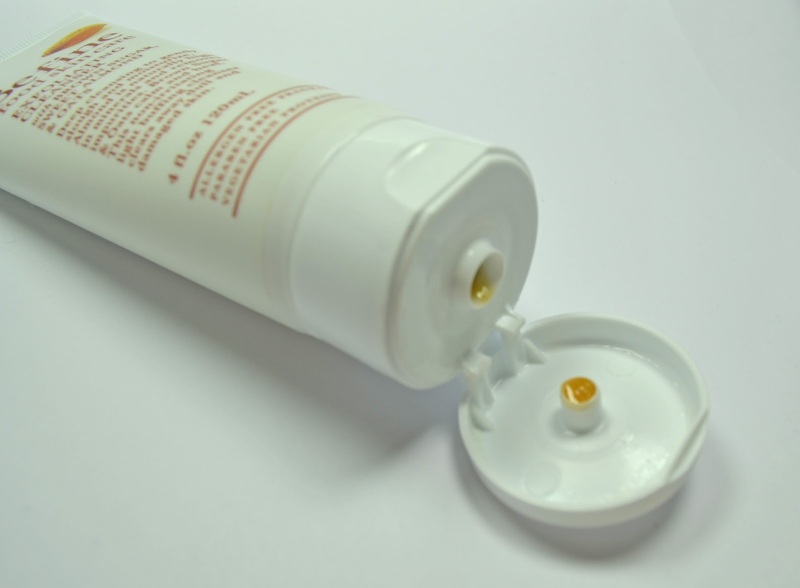 It works best if you take a half-pea-sized amount and apply it onto a section of your face in circular motions. I would do this two or three times on the same section if I want to make sure that I've gotten all the dry skin off. Once the scrub becomes a creamy lather, it cleans extremely well. I usually only wear eyeliner on my eyes, so I don't use eye makeup remover (I know that's still bad...). But this stuff cleans off my eyeliner (and foundation!) better than any other face wash I've used. 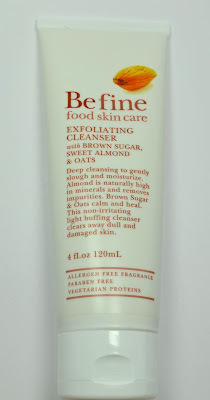 When I'm done washing my face with this, it feels completely clean, residue-free, and not tight-feeling. Scent: To me, this smells distinctly of ginger. I don't see ginger in the ingredients, so I'm not sure if it really is there. But I love ginger and the scent is very natural. It's not very sweet and not at all artificial-smelling. It seems to work fine that way - I don't think water gets in and the product inside doesn't "dry up". Since I sometimes keep this in my shower, I am generally impressed with the fact that everything inside the bottle doesn't melt. I thought that it would, since it's basically made of brown sugar crystals. The packaging keeps away moderate heat so you can keep it in the shower if hot water doesn't directly hit it. But my last bottle kind of died because one day, probably it got too hot inside the shower and about half of the product turned into liquid. Good thing it was almost out anyway and I had a backup bottle. Price: I found one for $20 on Amazon and $25 on Birchbox.com. I'm not sure why, but I had found mine for about $12 on Amazon when I bought it. The seller was ABC WHOLESALE, so maybe they will restock or bring back the discounted price. 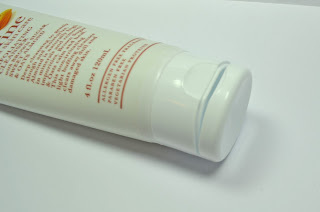 Overall: I love that this product turns from a scrub into a cream lather. It's great for making your skin feel smooth. Furthermore, you don't need very much to cover your whole face - about a dime-sized amount - if you're looking for a quick overall scrub instead of a deep exfoliator. This bottle should last you a while. I highly recommend it! Have you tried this scrub? Do you like it?